Smartphones are growing in popularity, and there are now over 4 billion mobile devices in use worldwide. As the technology behind the phones develops, consumers are no longer limited to simply calling and texting. People can now use their phones to access websites, transfer money, and buy products online. As this shift in buying patterns continues, more and more businesses are choosing to create a mobile optimized version of their website. By providing customers with an easy and accessible way to connect with your business from anywhere and at any time, you can take advantage of the relatively untapped mobile business market. 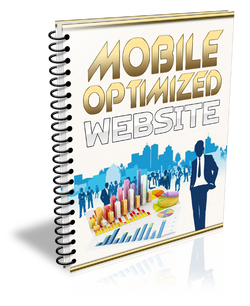 Creating a mobile website opens your business up to a huge marketplace that is continuing to grow. Give us your website URL & we'll send you an 'optimized' version of your current website...No Obliga"mobile optimized website" could look like!